Join Your Fellow Nerds & Geeks For The Next Installment of the Marvel Universe - Avengers: Endgame! Meetup Before The Movie At BAHAMA BREEZE For Happy Hour... A Quick Bite To Eat/Drink and To Chat Up The Buzz Around The Movie. Movie Seating Is On Your Own As Everyone Likes To Sit Where They Like Best. I Usually Sit In The Last Row To The Right Side. After The Movie We Usually Gather Outside The Game Room Entrance and Head Over To BAHAMA BREEZE For The Always Fun After-Party Discussion Of The Movie And All The Latest Genre Buzz. Four years after the events of Guardians of the Galaxy Vol. 2, the Avengers have been torn apart following the events of Captain America: Civil War. 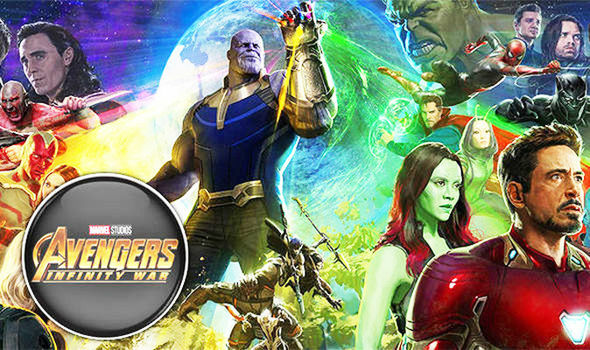 When Thanos arrives on Earth to collect the Infinity Stones for a gauntlet that will allow him to bend reality to his will, the Avengers must join forces with the Guardians of the Galaxy to stop him.